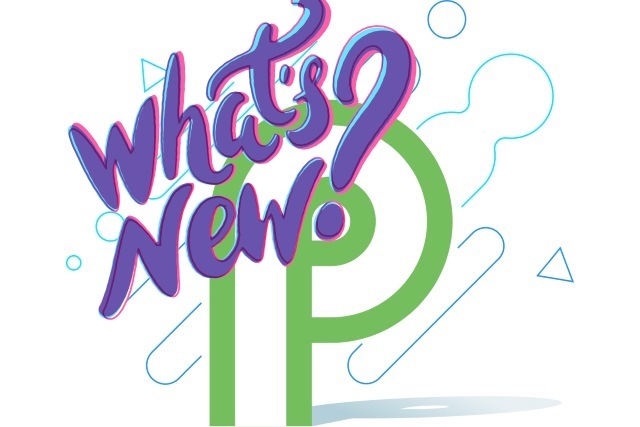 Google has released the first developer preview of Android P, giving us a glimpse into the future of its mobile OS. There's a lot to explore in this latest version of Android, but just what can you expect -- apart from notch support, of course? As this is just the first preview version, there's not -- currently -- a huge number of new features. The focus at the moment is on under-the-hood changes, but there's still plenty to explore, and more than enough to pique interest for future builds. So… let's take a look. It's worth a quick reminder that Android P developer preview 1 only works on Pixel, Pixel XL, Pixel 2 and Pixel 2 XL devices. For anything else, you are -- sadly -- out of luck at the moment. In a blog post, Google gives something of an insight into what has been added and changed since Oreo. Notch support -- or "display cutout support" as Google calls it -- is likely to increase the number of iPhone X-copying Android phones we see over the next couple of years. The company says: "Cutout support works seamlessly for apps, with the system managing status bar height to separate your content from the cutout. If you have critical, immersive content, you can also use new APIs to check the cutout shape and request full-screen layout around it." Security improvements mean that idle apps are not granted access to the camera and microphone. "To better ensure privacy, Android P restricts access to mic, camera, and all SensorManager sensors from apps that are idle. While your app's UID is idle, the mic reports empty audio and sensors stop reporting events. Cameras used by your app are disconnected and will generate an error if the app tries to use them. In most cases, these restrictions should not introduce new issues for existing apps, but we recommend removing these requests from your apps." Speaking of the camera, there is a new multi-camera API that enables Android P to pull data from more than one camera at a time. There are performance improvements through a switch to ImageDecoder and an enhanced ART runtime. There's also support for HDR VP9 Profile 2. 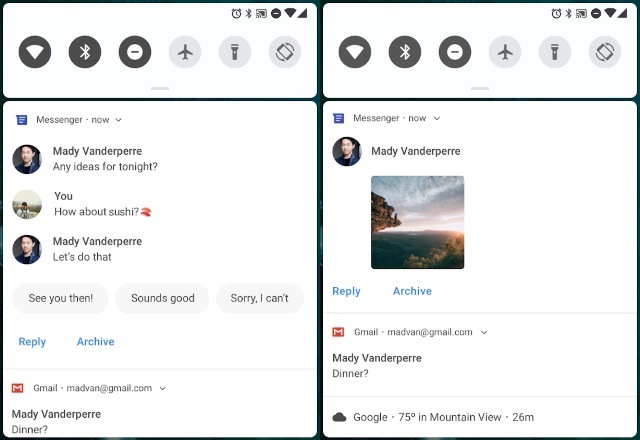 With Android P, Google is placing something of an emphasis on power usage, and has improved Doze, App Standby, and Background Limits to give better battery life. Another of the new features to be found in Android P is support for the IEEE 802.11mc WiFi protocol -- or WiFi Round-Trip-Time (RTT). This allows for greatly improved indoor location tracking, allowing for accuracy of around 1 or 2 meters by pinging access points. Full details can be found in Google's blog post about the release.